Merchants have begun arguing about moving to the new platform if nothing considerable has been added to its functionality. Since Magento 2 was released, there have also been concerns if Magento 2 has been foolproofed for heavy duty e-Commerce. 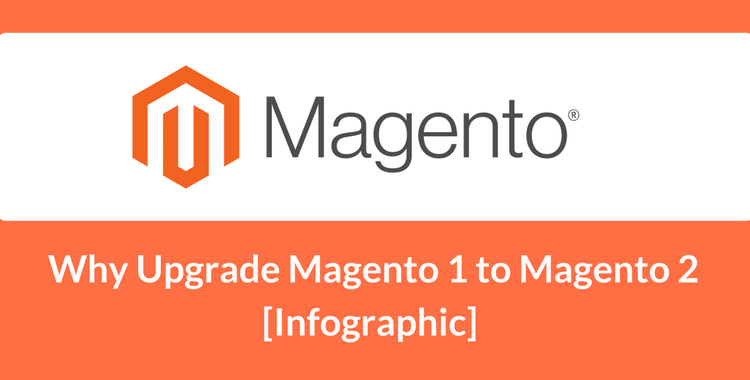 To shed some light on this issue, Team FME has compiled an infographic to convince you why to upgrade Magento 1 to Magento 2 is the best thing you will do so far. The most important improvement that we have seen is the Speed. Magento developers were kind enough to look up coding in the previous Magento 1x versions. With the recent upgrade, Magento has excelled 50% loading speeds compared to its predecessor and almost 38% fast checkout process. It was imperative to bring speed up to its mark as it influenced traffic and conversions directly. Magento 2 developers eliminated factors causing the sluggish performance and brought the average loading time to a smooth 2 seconds. Another major improvement was Magento’s ability to take on heavy duty tasks. With the help of superior coding techniques and enhanced design, Magento 2 is now capable of handling 117% more orders and secures 2.1 million more page views compared to Magento 1x. However, speed is not the only factor behind its incredible success. Magento 2 offers foolproof security with an uncompromised transaction and payment procedures. Magento 2 promises ironclad security with tons of other features that can help the merchant optimize the store performance according to their preferences without falling victim to spam attacks. It also comes with new improved support for Enterprise Edition that completely eclipses what we saw in Magento 1x. All and all, our experience with Magento 2 has been astonishing and completely different to its older versions. We highly recommend to upgrade your Magento 1 store to the all new Magento 2. Follow the step-by-step tutorial, if you want to learn How to upgrade Magento effortessly. To benefit from Magento 2 advanced features and improve your store’s performance -- migrate seamlessly from Magento 1 to Magento 2 with a highly efficient Cart2CArt automated tool. It lets you transfer securely and swiftly all your data like products, categories, customers, orders, manufacturers, etc with no programming skills needed. You can also rely on the assistance of our 24/7 support team on every step of your migration. Try out an absolutely FREE Demo migration to evaluate advanced benefits of Magento 2 and test our service in person. Simon Walker has more than 7 years of experience in eCommerce development. He currently works for FMEextensions – a Magento website development company, where he has developed several Magento extensions & themes. He is also consulting businesses to help increase their online exposure and reach. You can reach him on Twitter and Facebook.